Pulled into this park yesterday afternoon after the Sunday drive through L0s Angeles. I still have to admit, the traffic was a bit heavy for a Sunday. Nonetheless, what a change from the desert. Overcast and cloudy, cool with expected rain today. 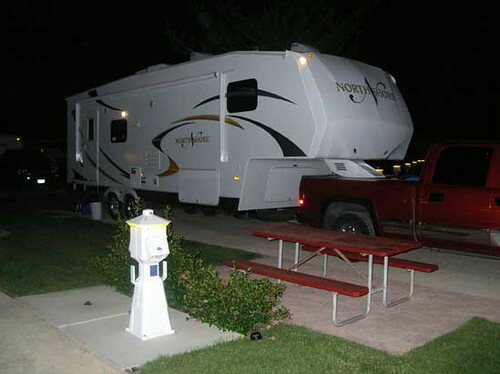 Cost of RV parks on the coast have been expensive to say the least. May try to do something cheaper, have the ability to boondock and stay at State Campgrounds cheaper than this one. But what a pretty park. I’ll grab more pictures today hopefully. Glad you found a place….it’s warm and sunny in Yucca….lol…(as usual)…miss you all!!! Nice looking rig and spot there! It is great to be able to follow you like this. What a great journey.